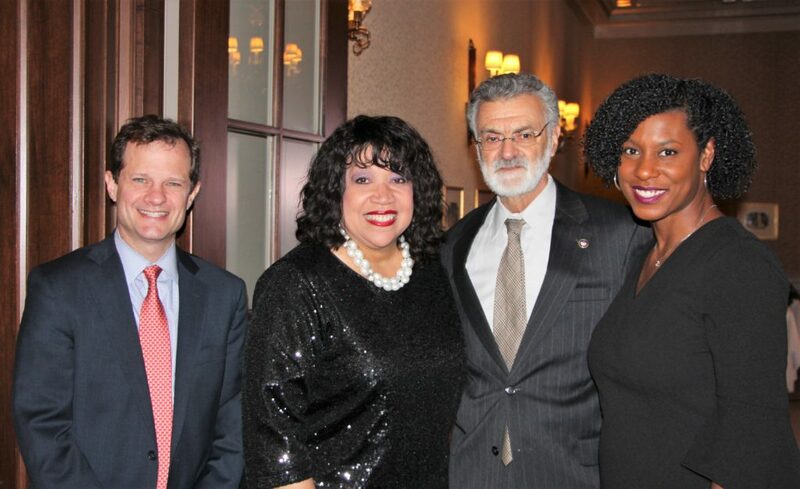 At The Cleveland Orchestra’s annual program honoring the life and legacy of Dr. Martin Luther King Jr., Positive Education Program was recognized for its impact on the lives of children in Northeast Ohio. PEP received the 2019 Dr. Martin Luther King Jr. Community Service Award – a recognition of the agency’s work in the spirit and teachings of Dr. King. The award was presented on Sunday, Jan. 20, at the beginning of the Orchestra’s 39th annual concert celebrating Dr. King. The award – now in its 15th year – is presented by the Orchestra in cooperation with the City of Cleveland. Richard K. Smucker, Chair of the Board of The Cleveland Orchestra, welcomed guests to the awards presentation and concert. Winners were announced by Jeffery Weaver, Chair, Cleveland Orchestra Community Engagement Committee, and presented onstage with Mayor Frank G. Jackson, Cleveland City Councilman Hon. Kevin Conwell and Cuyahoga Councilwoman Hon. Yvonne Conwell. The sold-out, free concert – conducted by Assistant Conductor Vinay Parameswaran – featured the Martin Luther King Jr. Celebration Chorus prepared by William Henry Caldwell, soloist Lawrence Brownlee and narrator Judge Patricia Ann Blackmon. The concert was broadcast live on radio stations WCLV (104.9 FM) and WCPN (90.3 FM). Click here for coverage of the concert from The Plain Dealer.